Evolve 59 iPPV results: Ricochet vs. Will Ospreay; Matt Riddle vs. Zack Sabre Jr.
- Drew Gulak & Tracy Williams b Drew Galloway & Johnny Gargano to win the Evolve tag titles. After the match, Galloway cut a promo and turned on Gargano. He got some good heat for that. Note: We are almost an hour in and there's only been two matches. - Ethan Page b Darby Allin in another very short match. - Tommy End b TJ Perkins in the USA vs Europe series. - Matt Riddle b Zack Sabre Jr to even up the series. The finish surprised the fans as Riddle won by submission and they were not expecting Riddle to win. Riddle will make it to WWE for sure. He has the look, the shape, the uniqueness, he shows a lot of charisma and he's already good in the ring. I can see why they are interested. Very good match against Sabre Jr. The only reason why it was not a great match is that they kept it a tad too short, especially compared to the length of the first two matches. I would have took 5 if not 10 more minutes of this match. Liked it a lot. - Marty Scurll b Evolve champion Timothy Thatcher in a non-title match with the chicken wing. Good match but again too short compare to the first two matches. After the match, Callihan's music hit and we only heard an audio of him pretty much challenging Thatcher. 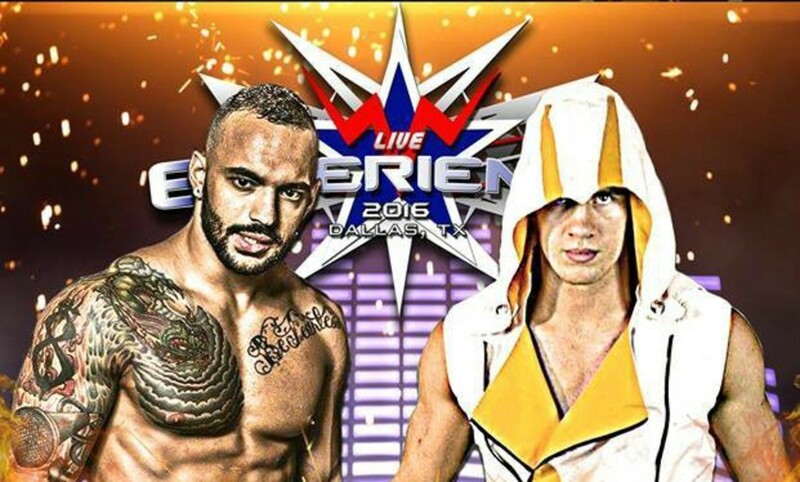 - Ricochet b Will Ospreay with the Benadryller. Freaking awesome match. Tough to say if it was better than Zayn and Nakamura because it was a different match. Crowd was ecstatic for it. And it's an understatement. Arguably the best match of the weekend so far, probably with Zayn and Nakamura and with Sabre Jr and Ospreay from Evolve 58. After the match, all the Europeans and Americans involved in the series came to the ring, since the series ended up 2-2, until Kora Ibushi showed up to a huge reaction to build the main-event of the Mercury Rising show presented later tonight.